St Lazarus Church, reputed to house the tomb of the man raised from the dead by Jesus Christ in the bible. 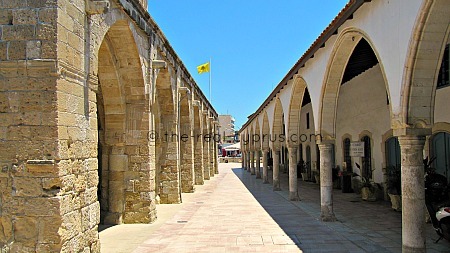 It was built around the 9th century and rebuilt in the 17th Century, this is quite a building and one of the most well known sights in the Larnaca. Widely used by local people as their own church, St Lazarus Church must be the most photographed place of worship on the island. Personally I just love this church, the stonework is beautiful and when the sun sets in the evening, the colour is a warm honey that envelops the building. The carving is beautiful and from every corner you can get an amazing photograph. 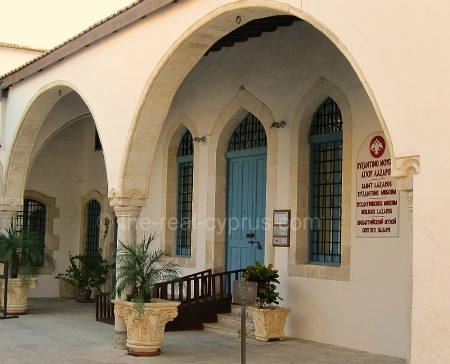 Don’t forget to visit the St Lazarus Church museum just tucked in behind the church, for some interesting icons and pieces of silver. 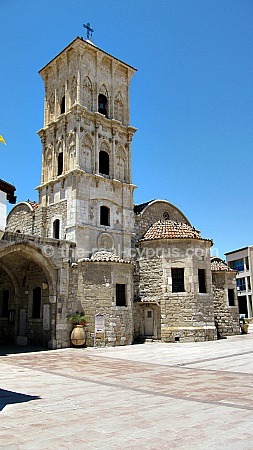 Situated in the centre of Larnaka (Larnaca), the magnificent early 10th century stone St Lazarus Church or Agios Lazaros as he is known in Greek is one of the most important surviving Byzantine monuments of Cyprus. It was built by Byzantine Emperor Leo VI in exchange for the transfer of the Saint’s relic to Constantinople. The church lies over the tomb of Agios Lazaros, the resurrected friend of Jesus Christ who came to ancient Kition in 33 AD and became its first Bishop and Patron Saint. It is said he was consecrated by St Peter and St Barnabas. The tomb, along with other marble sarcophagi and box - shaped tombs brought to light during excavations, can be seen inside the church crypt. The three imposing domes of this Orthodox Basilica Church and the original bell tower were destroyed, probably in the first years of Ottoman rule when the church was turned into a mosque. The brilliant byzantine artistry of the icons and the unique baroque woodcarving of the gold covered iconostasis were completed in 1782 and have survived until today. 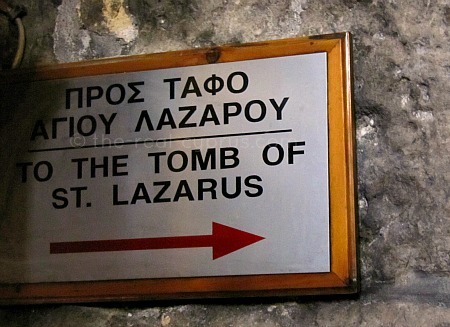 The Church of St Lazarus or Ayios Lazaros as he is known in Greek has an open porch, from which steps descend into the church. The porch bears traces of Greek, Latin and French inscriptions. The graceful bell tower was erected during the 17th century reconstruction, and was one of very few permitted by the Turks before 1857. The Turks generally prohibited such structures out of fear that church bells could be used to summon a rebellion. The impressive interior consists of a central nave, two aisles, three domes that are now boarded in. 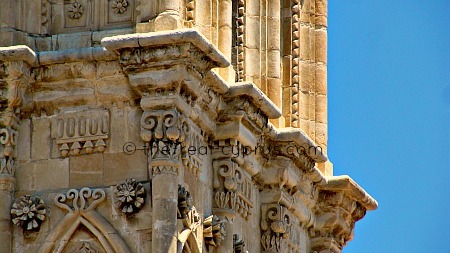 The roof is supported by twin piers topped by reused Byzantine capitals. In one of the piers, steps ascend to an elaborate, 300-year-old Rococo pulpit. The fine iconostasis (18th century) was damaged by the 1970 fire and has been partly restored. Notable icons in the church include one of the Virgin and Child on the north pier at the crossing; one of St. George and the Dragon (1717); a silver filigree icon of the Raising of Lazarus (1659); and another icon of the Raising of Lazarus in which a spectator is holding his nose at the stench. The silver icon is carried in procession in the presence of the Bishop of Kition on Easter Saturday so well worth a visit if you can be on the island for Easter In Cyprus. The crypt, accessed by steps that descend from near the southern side of the apse, contains Lazarus' empty marble sarcophagus. Most people love to go at sunset, so if you want to get photographs with no people in them and just the church, I suggest you go at sunrise instead then head off for a walk along the beach area and have your breakfast.